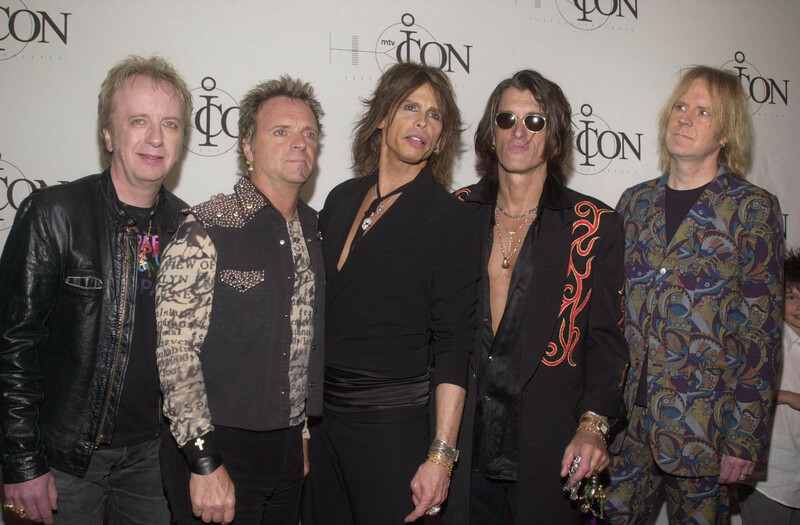 Aerosmith is planning a tour next year to celebrate its 50th anniversary, according to guitarist Joe Perry. Earlier this year, Perry said the band was “gearing up” to commemorate the milestone, and he recently revealed that he and bandmates Steven Tyler, Tom Hamilton, Joey Kramer and Brad Whitford will launch the tour in 2019. He told the Atlantic City Weekly that after Aerosmith plays at the New Orleans Jazz and Heritage Festival later this year, they will take a break: “We may do a couple more one-offs – maybe some festivals over the next six or eight months. In 2009, Tyler dropped out of a planned South American tour, and it was unclear whether he was leaving the band permanently. The singer returned but caused a commotion after signing on as a judge for American Idol, something he neglected to tell his bandmates even though they were on tour together. The pair patched things up, and Perry wound up appearing on the reality show to sing “Happy Birthday” to the frontman. The band also played on the show’s season finale. Perry and the supergroup Hollywood Vampires will play several dates in Europe this summer before the guitarist rejoins Aerosmith for its 50th-anniversary tour.